Brixton is the place to be. It has excellent transport links, markets and shops to die for, trendy street food, independent cinema, theatre, live entertainment, pubs, restaurants - and even a lido. It's easy to see its appeal for first-time buyers. But the demand is high, so here are our top tips on how to beat the rush and nail your Brixton property dream. To begin with, you need a deposit. It must be at least 5% of the property price, but if you can put down more, you'll be offered a lower mortgage rate. On top of the deposit, you need to have enough money to cover the bills associated with buying property – solicitors' fees, stamp duty, surveys, buildings insurance, initial decorating and repairs, removal costs and so on. Before you start looking at property, talk to mortgage brokers. They'll calculate how much you can borrow from your salary, your deposit, and your credit rating. They'll also take into account any other debts that you have. Both yourself and the mortgage lender wants you to be able to meet your monthly repayments, so all mortgage applications are now subject to strict controls. Lenders will examine your finances in minute detail to see whether you'd still be able to make the repayments if the unexpected happened – a job change or an interest rate rise, for example. Even if you don't secure a mortgage first time round, all is not lost. Try persuading a close relative to guarantee your repayments in what is known as a guarantor mortgage. The guarantor would enter into a legally binding agreement with you and the mortgage lender to pay the repayments on your behalf if you got into difficulties. Once you know how much you can afford, you can start house hunting. Online, you will find numerous property search engines, but don't rely on these alone. Get to know the estate agents who put the properties up. As a first-time buyer with a mortgage offer in your pocket, you're in a strong position. You can be flexible on moving dates, and your ability to buy does not depend on you selling another property first. Local estate agents will listen to your requirements and may offer you first sight of relevant properties as they come onto their books. Don't be seduced by pleasant décor and an aroma of coffee. You are no longer looking at a rented property – you're looking at a place for which you will be responsible. Look for evidence of dripping pipes, leaking roofs, cracked walls, damp. Explore the neighbourhood to get a feel for the immediate area, and ask your estate agent about the history of the property. Once you've found a property you like, you need to make an offer. But for how much? Here at Eden Harper, we will guide you as to the prices of similar properties in the neighbourhood, the current demand, and we will negotiate between you and the vendor. Being a first-time buyer with a mortgage offer makes you an appealing prospect for vendors who need to sell quickly. However, the demand for property in Brixton is always high, so be prepared to move fast. 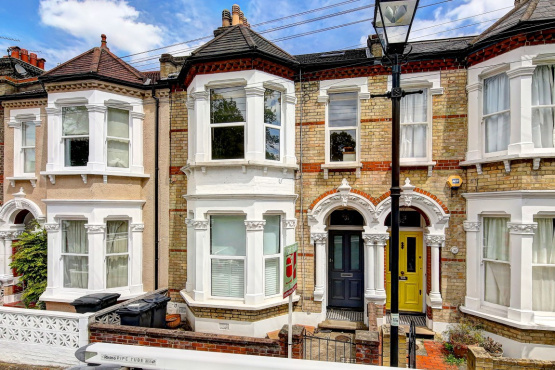 Are you hoping to buy property in Brixton? Get in touch.